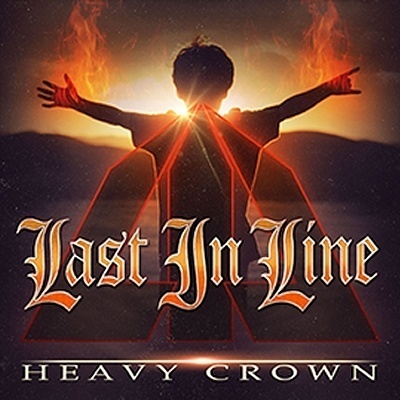 Def Leppard guitarist Vivian Campbell and his side band Last In Line release the Heavy Crown album next month and a 10th online review is available. Vivian's side band will release their debut album Heavy Crown on 19th February and album reviews are now available. My Global Mind have reviewed the album. Follow the previous news links to read the other reviews posted so far. "Starmaker more than tips its hat to classic Dio, so much so, I could only picture Ronnie singing it. From start to finish, it’s a magical nostalgic trip back to the golden era of one of metals finest bands. One listen to the chorus and you’ll be on-board. Burn This House Down serves up a tasty mix of modern and classic metal. That’s mainly due to the versatility in Freeman’s pipes, but there’s no denying the chorus is unashamedly 80’s metal. A standout track it ain’t, but it well dodges the filler category." "I Am Revolution picks up where Martyr left off, but with a little bit more stodge in its veins. Campbell gives a bruising master class that must have had his Gibson pleading for mercy. Appice and Bain prove that they are still the powerhouse rhythm section they always were, as this fearsome rocker bares its teeth throughout and takes absolutely no prisoners. Blame It On Me takes the album to a dark place with some serious haunting vibes. Probably best to put this one on repeat for a bit, it’s not one you’ll warm to straight off. But after a while, you will feel it take a welcome grip on you."